The photos presented in this article reveal to us some of the most important events in history. They bear the atmospheres of different era that are not possible to happen again. Thanks to those shots taken at the right moment, we can make travel back in time and feel as if witnesses of these big events. Dimplify has collected for you 35 archive photos. Make yourself a cup of hot tea and start your journey to the past. 34. 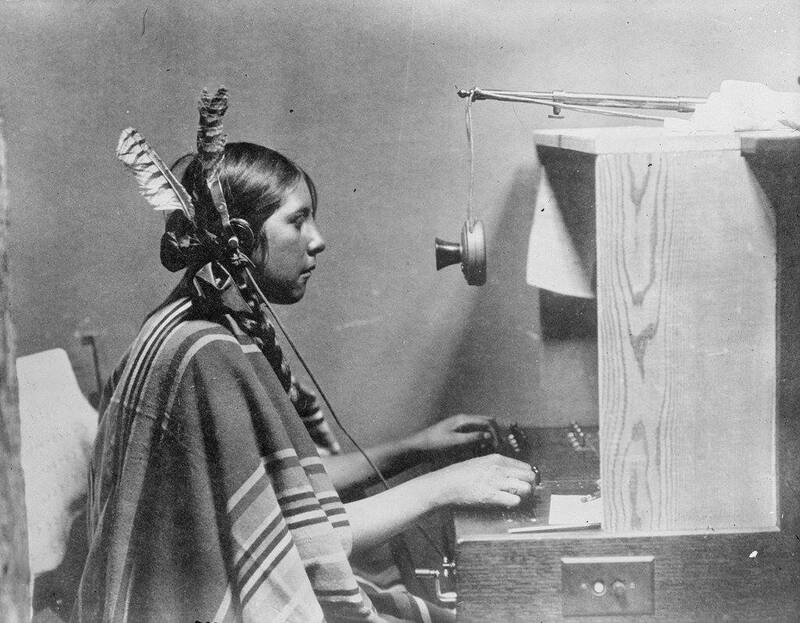 The American Indian Telephone And Switchboard Operator Helen In Montana, 1925. 33. Some French Soldiers Eating At a police Station In Neuvilly After Many Days In the Trenches Under heavy Rain, In 1915. 32. Areal Photo Of The Game Muhammad Ali Vs. Cleveland Williams. Ali Has Won The Bout Through A technical Knockout In the Third Round, In 1966. 31. Image Of Teh Nazi Rally In the Cathedral Of Light, In 1937. 30. Funny Image Of Kurt Cobain Enjoying A smoke With Ronald McDonald In Singapore, In 1992. 29. North American B-25s Passing Near Mount Vesuvius In Italy When lava And Ash Spew From The Top Of the Erupting Volcano, In 1944. 28. 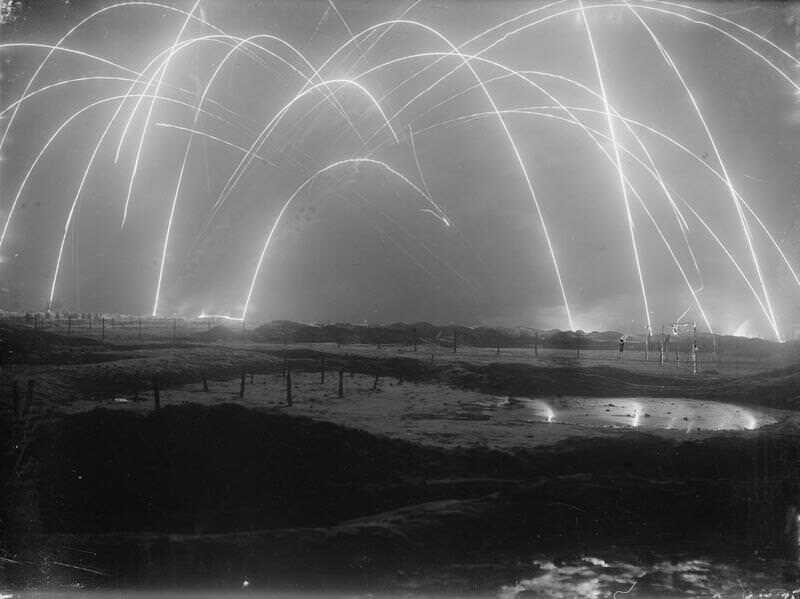 The Trench Warfare - An Image Taken By an official British Photographer During World War I, In 1917. 27. Colorized Image Of Lt. Custer & Union Troops, In 1862. 26. An Article In Ebony Magazine Called, “What They May Look Like In The Year 2000.” That Is Michael Jackson’s Future Portrait, In 1985. 25. Photo Of The Young Pioneers Defence In Leningrad, Back In 1937. 24. Areal Photo From The JFK’s Funeral At the Capitol, In November 1963. 23. Photo Of The Mississippi’s First Interracial Couple, In August 3, 1970. 22. Photo Of The Greensboro Sit-ins. These Were series Of nonviolent Protests In Greensboro, North Carolina, In 1960. 21. Image Of Roza Georgiyevna Shanina Was One Of the Best Soviet Snipers, In 1943. 20. Photo Of Men Celebrating The End Of prohibition, Taken In December 5, 1933. 19. Colorized Image Of Ruth Lee, A hostess At a Chinese Restaurant, Who Flies A Chinese Flag So She Isn’t Mistaken Fora Chinese Flag So she Isn’t Mistaken For Japanese As She Sunbathes On her Days Off In Miami, In Dec. 15, 1941. 18. Photo Of Rally Against Nazism In New York, Madison Square Garden, In 1937. 17. Image Of The First Man To walk On the Moon. Neil Armstrong Lights A cigar In March 1969. 16. Colorized Photo Of A Thanksgiving Celebration On the Frontline, World War 2. 15. Colorized Photo Of Winston Churchill And Charlie Chaplin On the Set Of City Lights, In September 24, 1929. 14. Photoe Of The Crowd In Times Square, New York City Celebrating The Surrender Of Germany, In May 7th, 1945. 13. Colored IImage Of The “Jewish Market” New York, Upper Eastside, In 1895. 12. Two Images Of Hiroshima, Before And After The Atomic Bombing On August 6th, 1945. 11. Photo Of The German World War I U-boat Stranded On the South Coast Of England After The Surrender, In 1918. 10. Portrait Of a bride And Groom. The Hat Is adorned With Feathers For Luck, In Kraków, Poland. 9. Areal View Of Boston, The Oldest Surviving Aerial Photograph That Was Ever Taken, In October 13th, 1860. 7. Chicago Mother Which Hides Her Face From Cameras Putting A “4 Children For Sale” Sign In her Front Yard. 6. A Muslim Womanthat Hides The Yellow Star Of her Jewish Neighbor With Her Veil To protect Her, In Sarajevo, 1941. 20 Photographs With Wow Effect From 2015 - Make Time To See Them All!